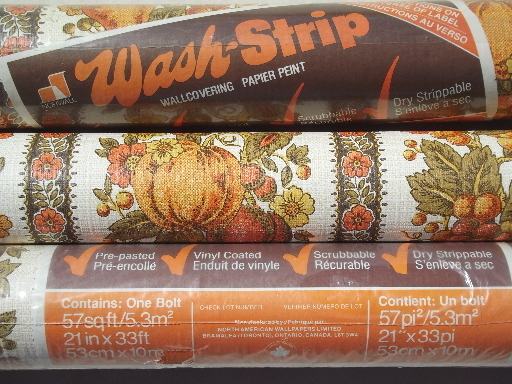 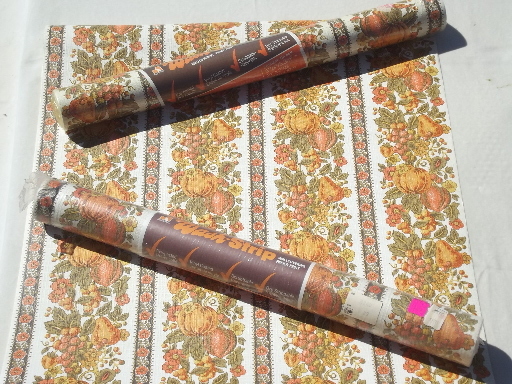 Lot of three rolls of vintage wallpaper, pre-pasted paper all in excellent condition. 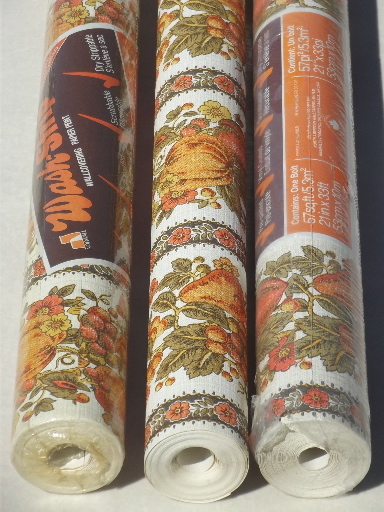 There are two full rolls (each 33 ft long) and one nearly full roll. 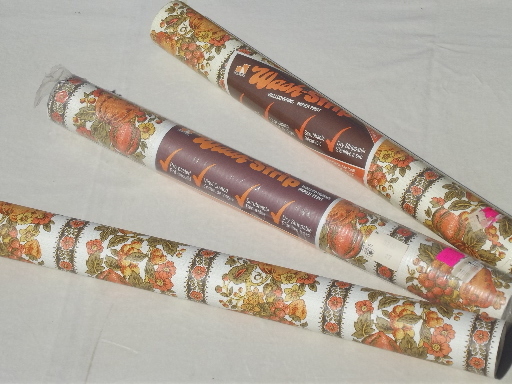 All are 21" wide. 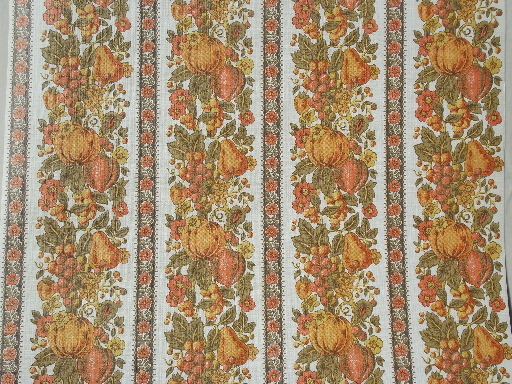 The pattern is a harvest fruit print in spice o life style colors, warm orange and gold shades with brown. 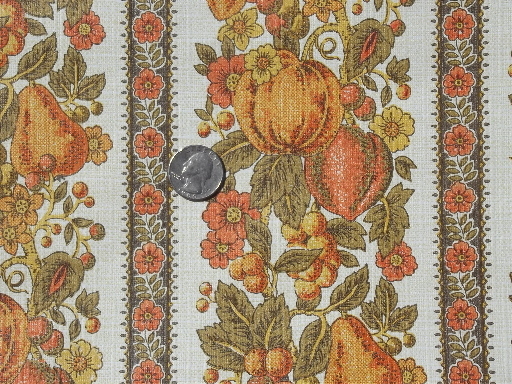 It would make pretty shelf paper, drawer liners or shelf backing paper - or paper a whole closet for a pantry.